Welcome to the latest Faith Ed newsletter! Wertheimer is shocked when swastikas are painted in the boy’s bathroom at a suburban Boston high school near her home. The March 2014 incident forces Wertheimer to recall similar events more than 40 years earlier, when she and her brothers were the only Jewish students in a rural Ohio public school. With skill and intelligence, the veteran interviewer crisscrosses the country in search of a public school program that teaches religious literacy well. – Publishers Weekly. Summer Reading List: Faith Ed probably isn’t a light beach read, but the Jewish Book Council includes it on its summer to-read list, along with a debut novel I just finished in a few days and hated to put down. Check out Jessamyn Hope’s Safekeeping, a sprawling, fascinating book set in Israel and New York. Georgia-Bound & other events: I mentioned the Decatur Book Fest before, but have more details. On Saturday, Sept. 5, from 12:30 p.m. to 1:15 p.m., I’ll give a talk – with the help of a moderator – at the annual Decatur Book Fest just outside of Atlanta. We’re working on creating a conversation-style event. To see a full list of confirmed events to date, check out the events list on my website at this link. 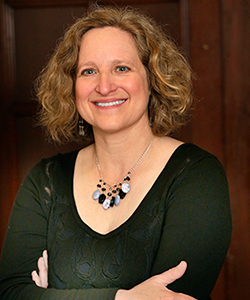 Among the new events: a conversation-style talk at Newtonville Books in Newton, Mass., with Katherine Stewart, author of The Good News Club, The Christian Right’s Stealth Assault on America’s Children. She’ll interview me about Faith Ed. 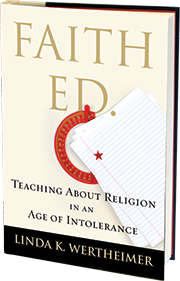 Book Launch Reminder: I will do the first event for Faith Ed on publication day, Aug. 18, 7 p.m. at Porter Square Books. You can RSVP on their site. The story behind the photo: I spent half a Sunday at this temple as a guest of the religious school principal. I interviewed Sikh students, who told me about being teased in public school as they tried to hang onto Sikh traditions, such as not cutting their hair or wearing mini-turbans if they were young boys. The principal, gave me a tour of the temple and insisted I stay for the traditional communal meal served for free to all visitors every Sunday. She also urged me to spend some time in the sanctuary watching the service. It was fascinating and beautiful though I couldn’t understand a word because everything was in Punjabi. 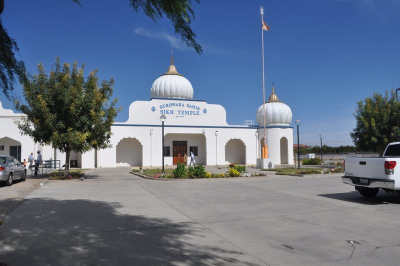 The Sikhs of Modesto welcomed me, and I learned a lot from them. One last shameless promotional plug – about the Goodreads Giveaway: It runs until July 21. If you haven’t discovered it, go to this link. Thanks, as always, for reading! Feel free to contact me directly with questions at linda@lindakwertheimer.com. Tagged Beacon Press, church and state, Faith Ed, Linda K. Wertheimer, Newtonville Books, Porter Square Books, Publishers Weekly, religion, schools. Bookmark the permalink.